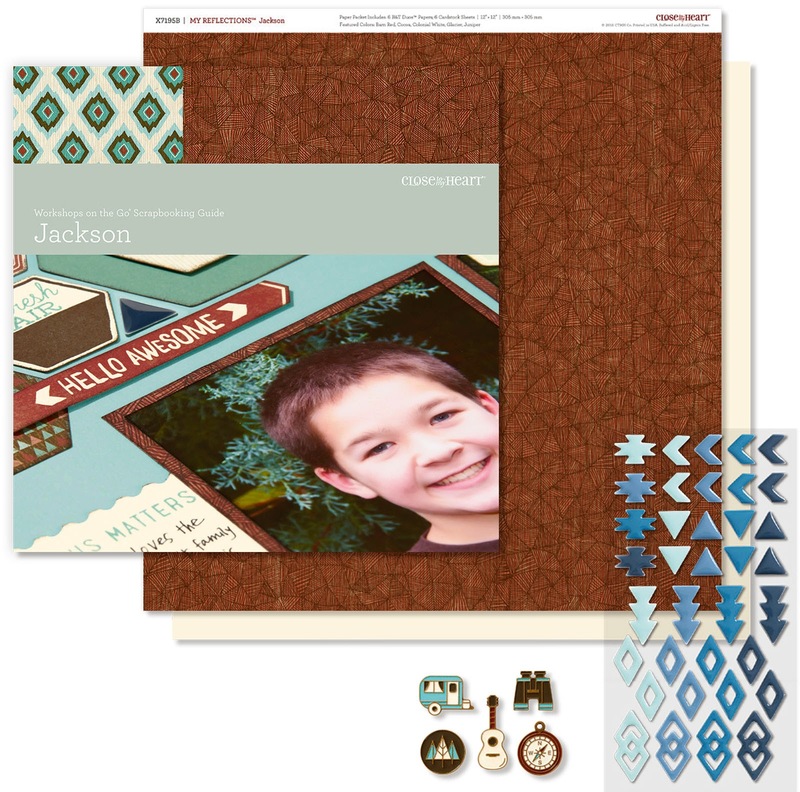 Jackson is the name of the new papers in the Seasonal Expressions 2 Idea Book. the ones on the right 36 adhesive-backed enamel shapes in a variety of designs and colors. Don't forget that not all pages have to be 2 page layouts. 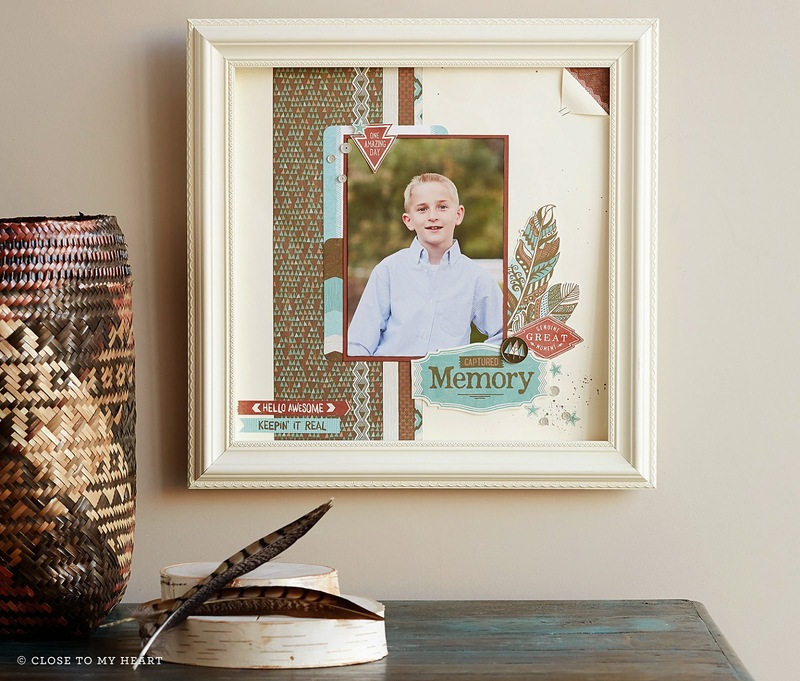 I love creating a one page layout that can be framed and displayed proudly in your home. I love this layout. 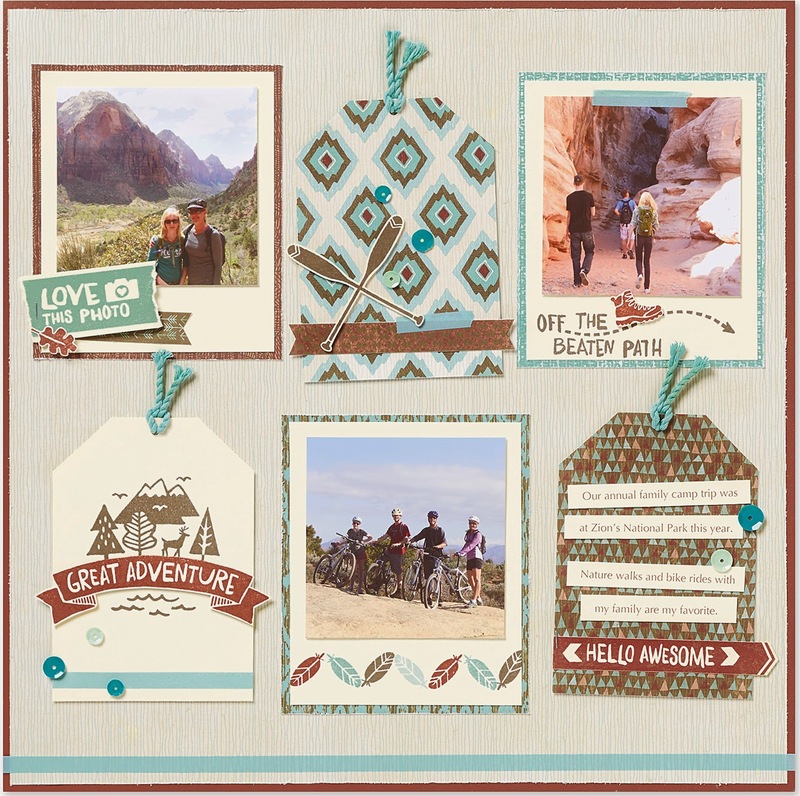 The embellishments on this layout are mostly from the Jackson Complements X7195C or stickease. 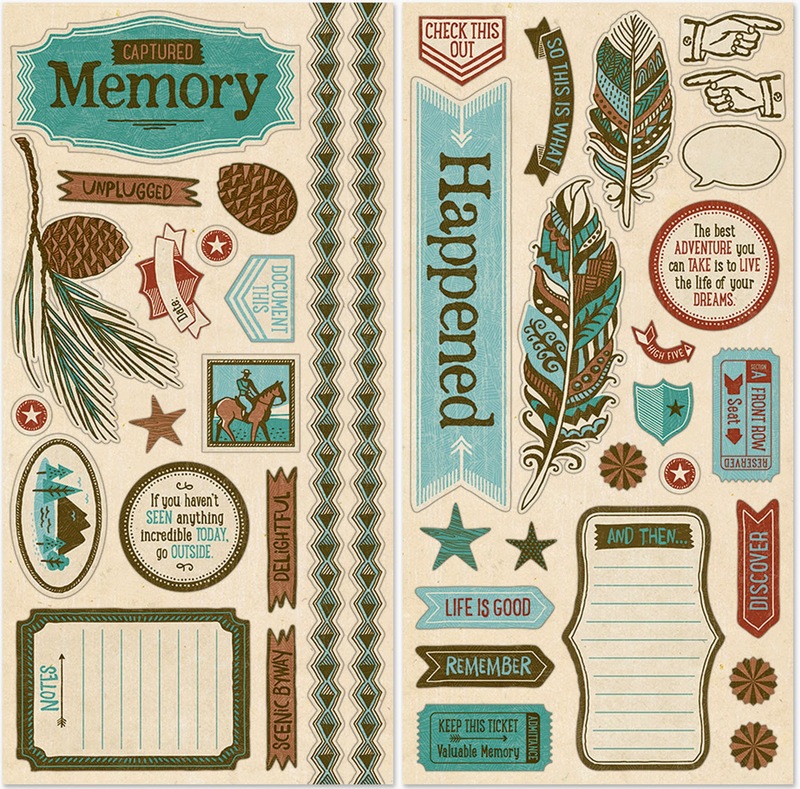 The cardstock "stickers" are crazy easy to use and you get the equivalent of a 12x12 cardstock sheet of titles, borders, journaling stickers. So, I'm showing you this because I really like the idea of using the tags to enhance the page. The are easy to make-just cut a rectangle then snip off the corners and punch a small hole for the twine to go through. So cute!! 5-piece set of metal-rimmed, enamel-filled pieces; adhesive-backed; 1"–2"
36 adhesive-backed enamel shapes in a variety of designs and colors.Colors: Glacier, Outdoor Denim, Indian Corn Blue, Pacifica. Thanks for stopping by! Hope you got some great ideas and if you did, please consider shopping with me.